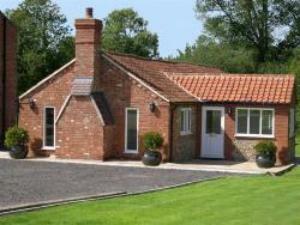 The Retreat01263 715779work01603 870304fax Self-cateringThe Retreat, a barn conversion on one level, is situated adjacent to the owners home in Dillington, a hamlet close to Dereham in Norfolk. Dereham is a market town with many attractions including cinema, golf course, leisure centre, shops and restaurants, and from there it is only twenty miles to the coast of North Norfolk and the cathedral city of Norwich. • Luxuries: LCD TV, DVD player, Wifi. The Retreat, a barn conversion on one level, is situated adjacent to the owners home in Dillington, a hamlet close to Dereham in Norfolk. Dereham is a market town with many attractions including cinema, golf course, leisure centre, shops and restaurants, and from there it is only twenty miles to the coast of North Norfolk and the cathedral city of Norwich.